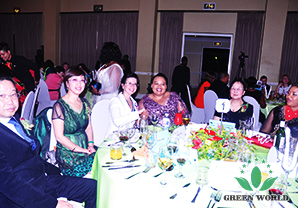 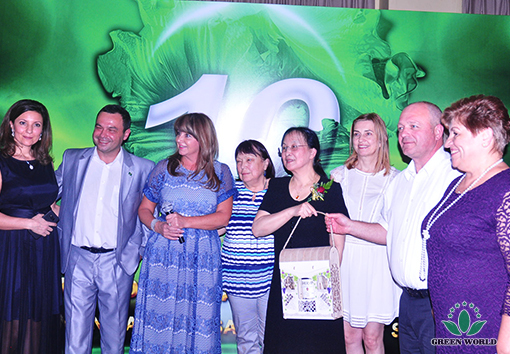 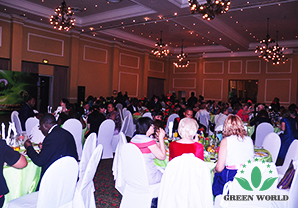 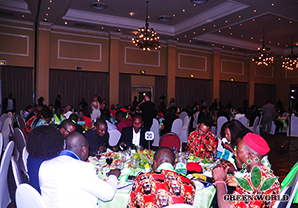 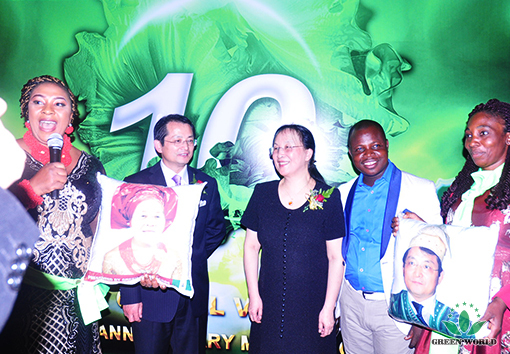 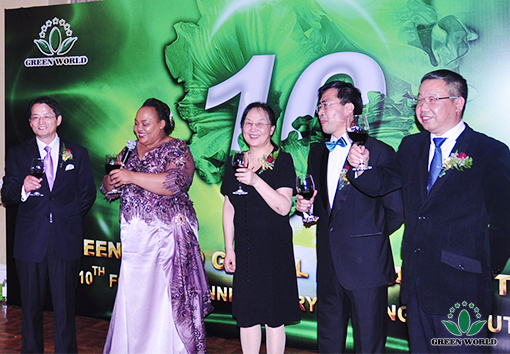 Following the 10th Anniversary Celebration of Green World South Africa, on 7.pm 18th November, the VIP banquet was held in the conference centre of INDABA HOTEL which is well-known in South Africa, attended by Ms.NompumeleoNtuli Zuma, the wife of South Africa president, 120 distributors from all over the world, and 170 senior distributors from South Africa as well as Green World management personnel. 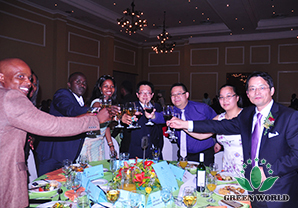 At the beginning of the banquet, Green World founder and President Dr. Deming .Li made a toast, in which she extended warm welcome to Green World global distributors coming from afar and congratulations on the convening as scheduled of the 10th Anniversary Celebration of Green World South Africa. 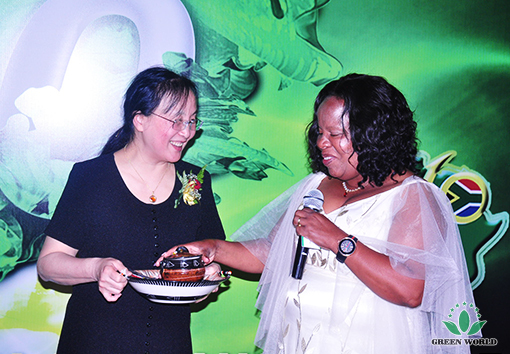 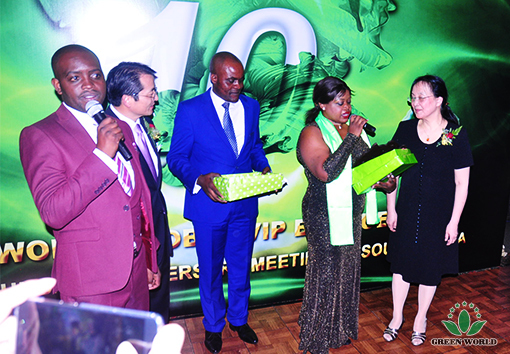 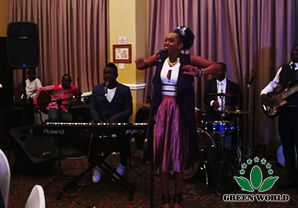 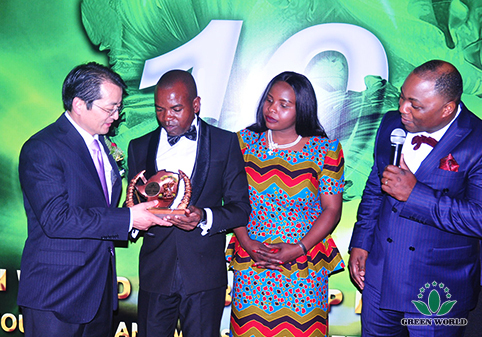 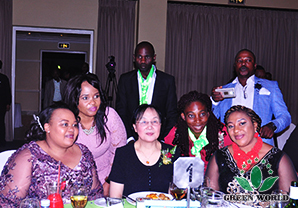 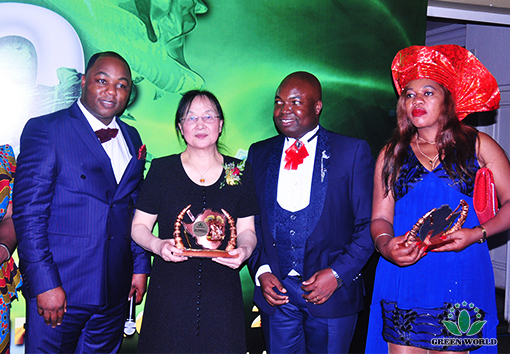 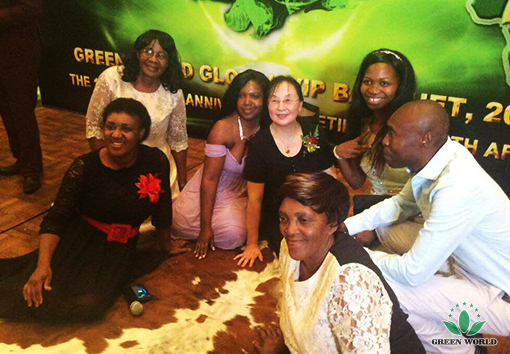 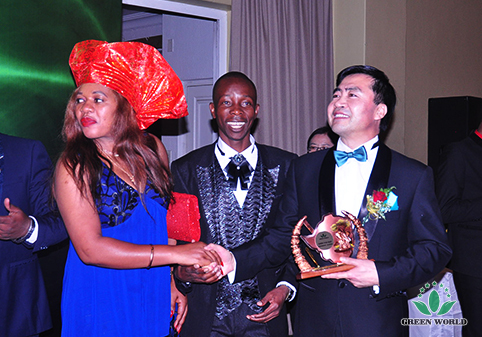 Following that Ms.NompumeleoNtuli Zuma, the wife of South Africa president, toasted a more prosperous future of Green World in South Africa and African continent, Green World President Dr. Deming Li, the president of Green World Africa Mr. David. 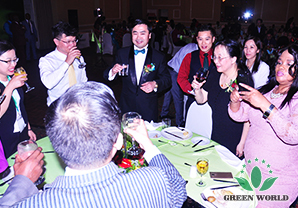 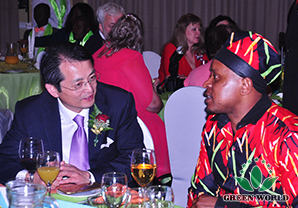 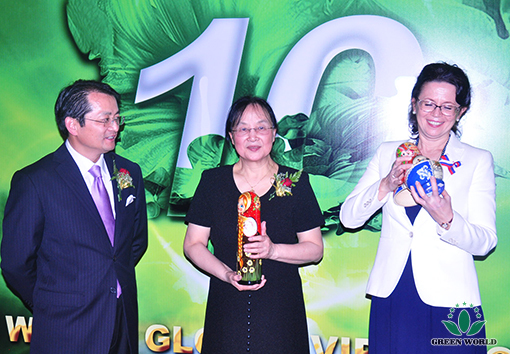 L. Zhang and the president of Green World Eurasia Mr. Yanguo Chen and Green World counselor Mr. Guoyang Wu jointly proposed a toast to the guests for this grand event. 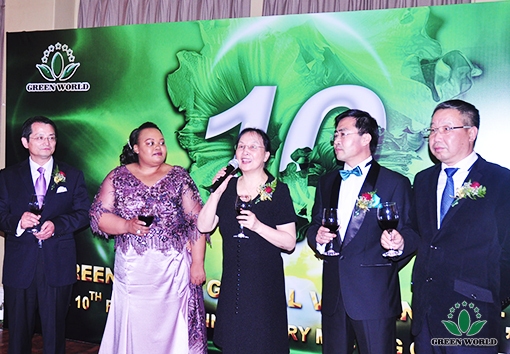 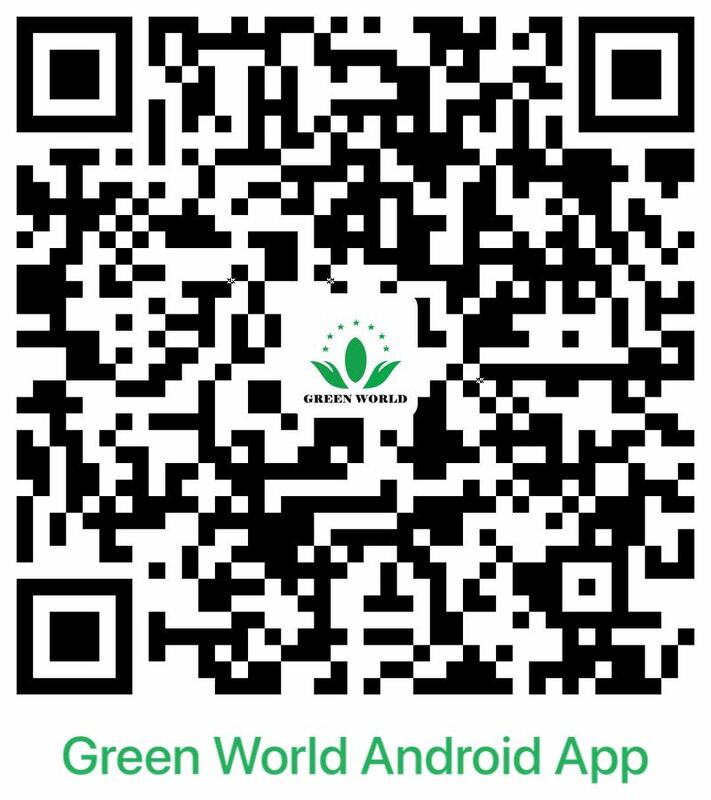 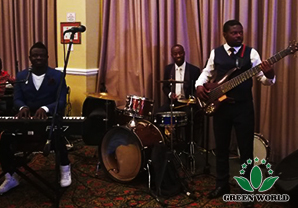 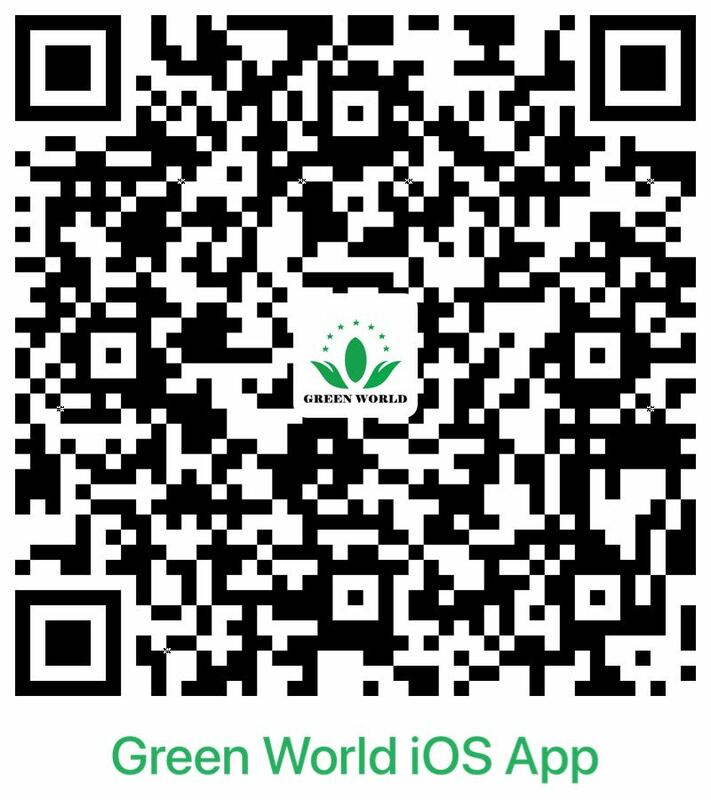 Accompanied with beautiful music, permeated with warm and joyful ambience, Green World international distributors and management communicated with each other about the splendid achievement of Green World and the flourishing prospect of Green World. 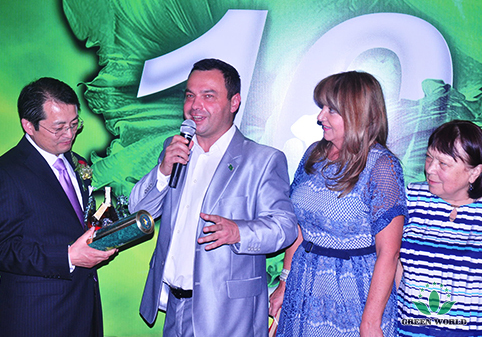 During the banquet, distributors all over the world came to the stage to present gifts with national characteristics to Dr. Deming. 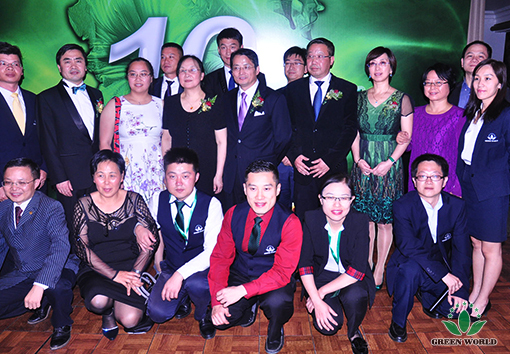 Li and the management personnel, extending their regards and appreciation. 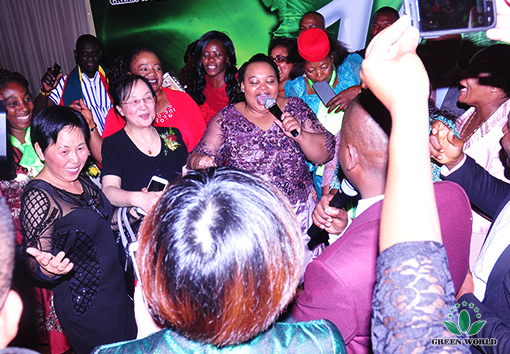 At the end of the party, Ms.NOMPUMELELO ZUMA, the wife of South Africa president, sang a famous South African song Shosholoza affectionately, arousing the passion and excitement of the attendees. 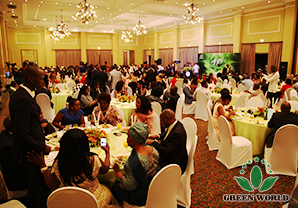 The distributors danced and sang, indulging themselves in pleasures, the banquet came to a successful end in the joyful atmosphere.